Austin and Julie once roamed the same hallways of high school. Austin was two grades above Julie and a "band geek" but that didn't stop her from totally "crushing" on the older guy. Years later they reunited at a Christmas party. The two chatted away catching up, danced, and left with each other on their minds. Julie then held an informal party at her house and invited Austin. She perfectly applied her makeup and spent countless hours on her outfit and hair. All for Austin...who never showed up. Typical right? But as fate has it, a month later, the two ran into each other again at the Emerald Rose. Austin finally asked her out for a movie and drinks. They've been together ever since. He loves her laugh and she loves the way he can always make her laugh. 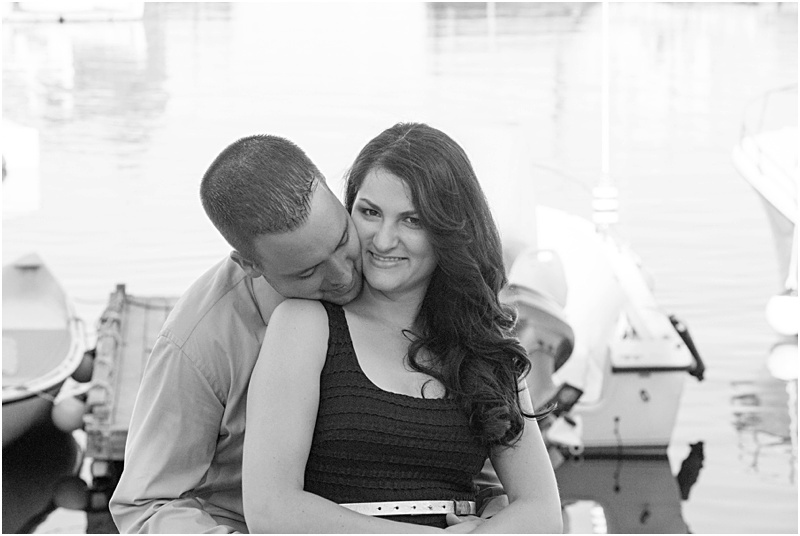 We enjoyed shooting their engagement session in Rockport, MA and are thrilled to be shooting their wedding this May.